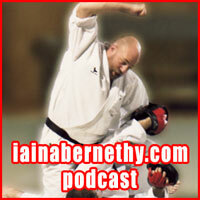 Welcome to the latest iainabernethy.com podcast! This month we cover the very important topic of “context”. 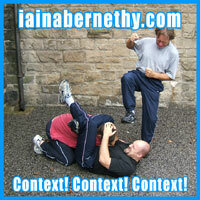 The failure to understand the huge impact of context is one of the biggest problems in modern martial arts / self-defence. This failure has people training in incorrect, inefficient and sometimes downright dangerous ways. It can also stop us from enjoying all the fun and benefits our training can bring us. In the podcast I define what I mean by “context”, explain how important it is to define the “win”, look at how context and the “win” determine what pool of techniques we should draw from, how the very effective tactics in one context can be disastrous in another, etc. I also look at some of the common misunderstandings relating to context. 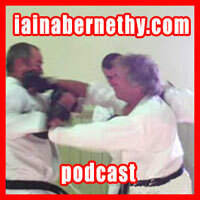 Welcome to the latest iainabernethy.com podcast! It’s been a little while since the last one due to the many demands upon my time, so I hope you feel this one is worth the wait! 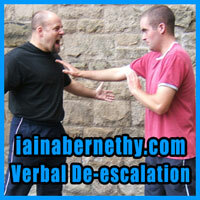 In this month’s podcast we will be looking at verbal de-escalation. What I mean by that is what we can do to calm people down, avoid unnecessary physical conflict, and “talk our way out”. It’s not enough to simply give the topic lip service, as many do, with throw away lines such as “talk your way out if you can”. That’s like saying “punch hard” and expecting students to be able to punch well despite never having being taught punching or having practised it. There is huge skill set associated with talking your way out of situations that should not be ignored. The podcast is back! Please accept my apologies for the delay between podcasts. Hopefully you will find it worth the wait! Seeing as you have been so patient, this podcast covers two topics in a kind of “double feature”! Welcome to August’s podcast! In this podcast we discuss the issue of multiple enemies. Despite the fact that multiple enemies are a likely occurrence in self-protection situations, I think it would be fair to say that the majority of groups ignore this likelihood and concentrate solely on one-on-one methodologies and tactics. Unfortunately, one-on-one methodologies and tactics can work brilliantly when things are one-on-one, but can be totally inappropriate and fail dramatically when the numbers increase. The need for solid technique at all ranges remains constant, what changes is what techniques we choose to use and how we choose to use them. Welcome to the July 11 podcast! This month has me musing over a wide range of martial topics raised by listeners. 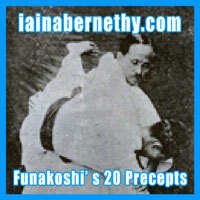 We look at methods of breathing; the value of cross-training; using empty-hand kata for weapons; bunkai deniers; training for the non-physical aspects of confrontation; the order in which we should learn kata; the “two-hand” rule of bunkai; weapon defence in kata; Motobu’s place in karate history; karate styles; striking vs. grappling; home training for kyu grades; and my own personal kata practise. 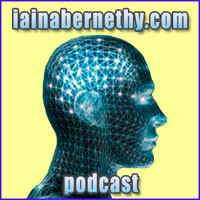 A pretty wide ranging podcast I’m sure you’ll agree! In this month’s podcast I want to discuss my personal take on visualisation training. Visualisation training is where we mentally rehearse a given task or scenario in order to help us prepare for that task or scenario. I’ve made use of visualisation over the years and I’ve found it to be very useful. It can be a great supplement to physical training and can help develop skill, improve performance, boost confidence and help give you a positive self-image. It can help you rehearse so you are well prepared for any task you are undertaking. 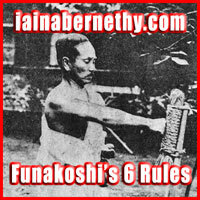 It also has uses in our everyday lives outside of the martial arts too. Well here we are with May’s podcast! This month we will be looking at the principles of arm-locks. The podcast is in two sections. The first section covers some of the general issues surrounding the role and application of arm-locks. The second section covers some of the key principles that need to be adhered to if arm-locks are to be effectively applied. 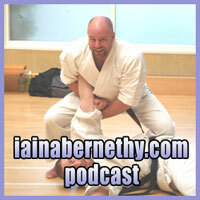 The podcast looks at the role of arm-locks in live situations, how arm-locks should be integrated with other methods, how the principles of arm-locks relate to kata, and principles vs. techniques. We also examine the key concepts of push / pull, good leverage, mechanical advantage, continuous control, confusion and distraction, and the structure and weaknesses of the joints of the arm.